Smoky Mountain Resorts features four lodging options to suit everyone's needs: interior and exterior properties, with a variety of amenities. Featuring 138 rooms in the Country Tower and 98 rooms in the Summit, Country Cascades Waterpark Resort has a deluxe breakfast, meeting space, and an outdoor waterpark! 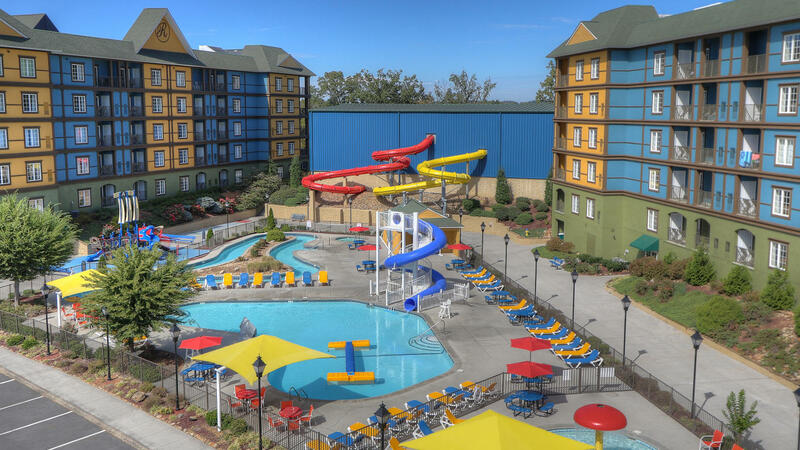 Condo development with 155 units featuring full kitchens, washer/dryer, and an indoor and outdoor waterpark. The Resort has one bedroom, two bedroom, and three bedroom units. More info about The Resort. Creekstone Inn features 112 guest rooms in the Creekstone building and 60 rooms at Rivers Landing. 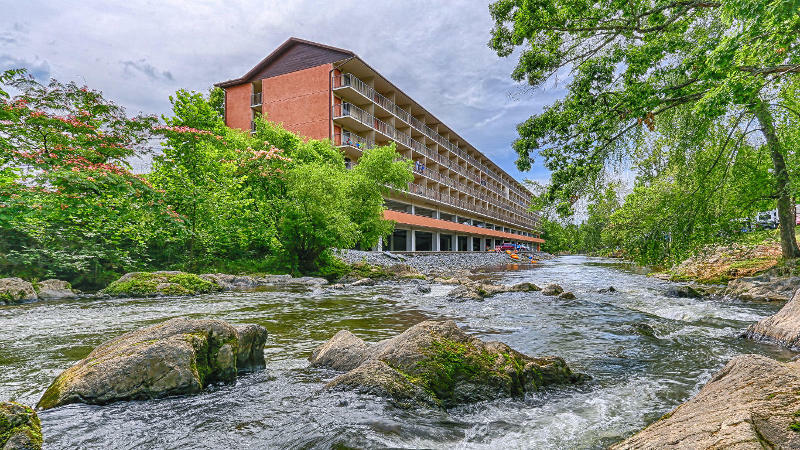 Creekstone Inn has a deluxe breakfast and balconies overlooking the Little Pigeon River. Ramada Pigeon Forge South has 122 guest rooms ranging from deluxe two queen to our two bedroom suites. 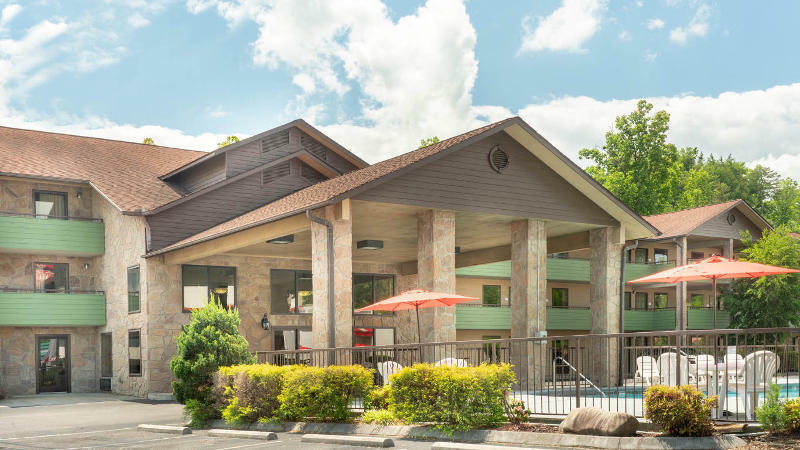 Ramada features an outdoor pool and hot tub, full breakfast, and on-site mini-mart, and meeting space. 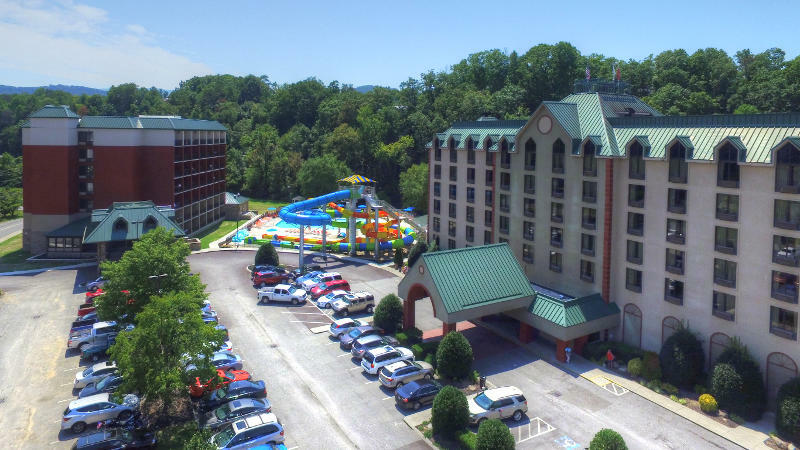 Smoky Mountain Resorts also has access to "overflow" lodging in the event that we are unable to accommodate all of your guests within our featured properties.